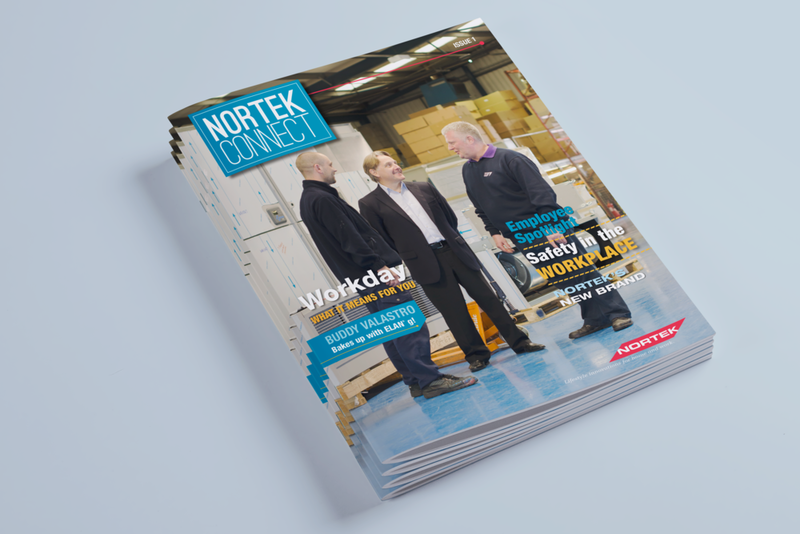 Transitioning from a holding company of well-known brands that worked independently to an operations company with shared services, Nortek sought to reach each employee and facilitate major organizational changes through a cross-business communication channel. Through user research and employee surveys, we learned that Nortek’s workforce was not on a network. Many employees were unaware that they were part of a subsidiary of companies forming a larger portfolio. 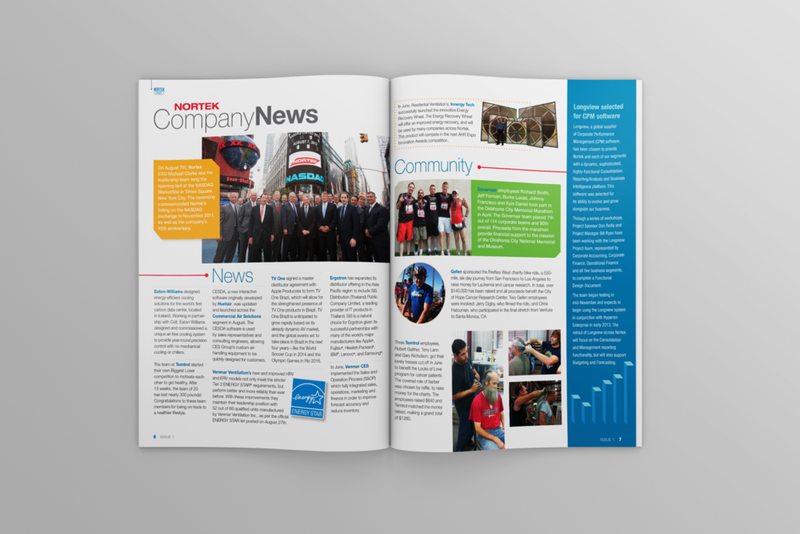 To address communications, we designed and implemented several channels with varied formats. 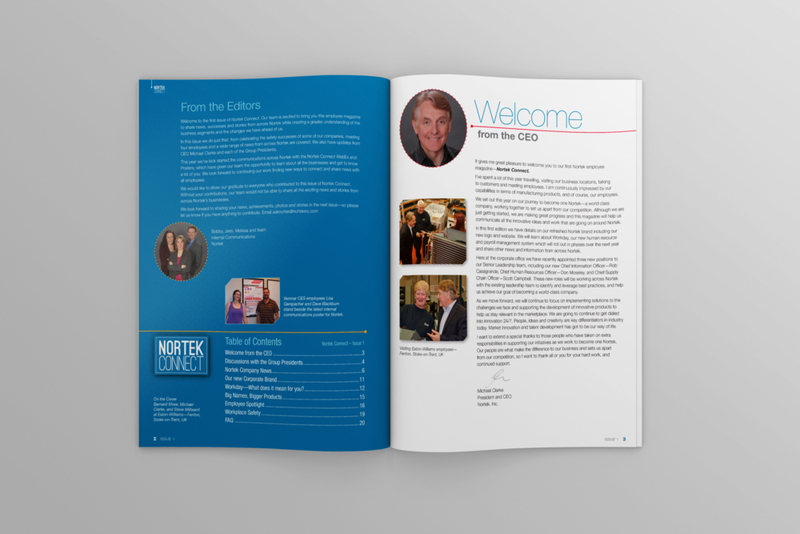 Through implementing branded employee publications, live Q&A sessions, and other corporate communication avenues, our work allowed Nortek to unify its workforce under a shared mission. As Nortek continues to utilize our branded communication approaches and media, both employees and the overall company continue to benefit.